Viknesh Vijayenthiran September 16, 2015 Comment Now! 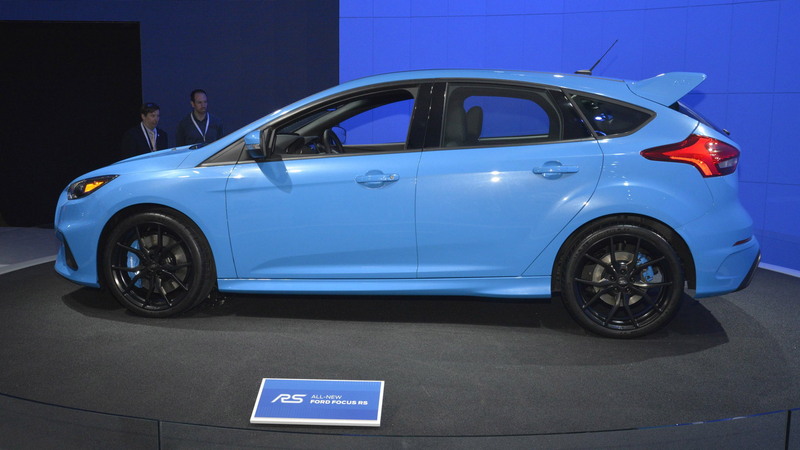 The third-generation Focus RS has just gone on sale in Europe, and to help kick off the launch the Ford Motor Company [NYSE:F] confirmed some of the performance specs. The new hot hatch, which is due Stateside in the spring of 2016, accelerates from 0-62 mph in just 4.7 seconds when using the car’s launch control system. That’s quicker by a few tenths of a second than the times of key rivals like the Subaru WRX STI and Volkswagen Golf R, though the Ford has considerably more power on tap. The top speed is listed as 165 mph. 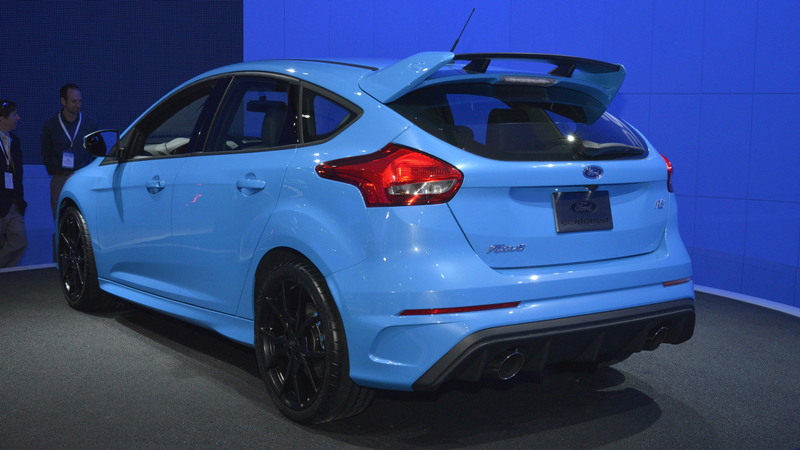 These numbers, by the way, make the new Focus RS to fastest ever model to wear the Blue Oval’s storied RS badge. Launch control can be selected from a menu in the main gauge cluster. Once selected, all the driver has to do is engage first gear, apply full throttle and then release the clutch. The system then controls the all-wheel-drive, traction and suspension systems for a perfect start. A shift light indicator also located in the cluster tells the driver when to switch gears. The only transmission is a six-speed manual. 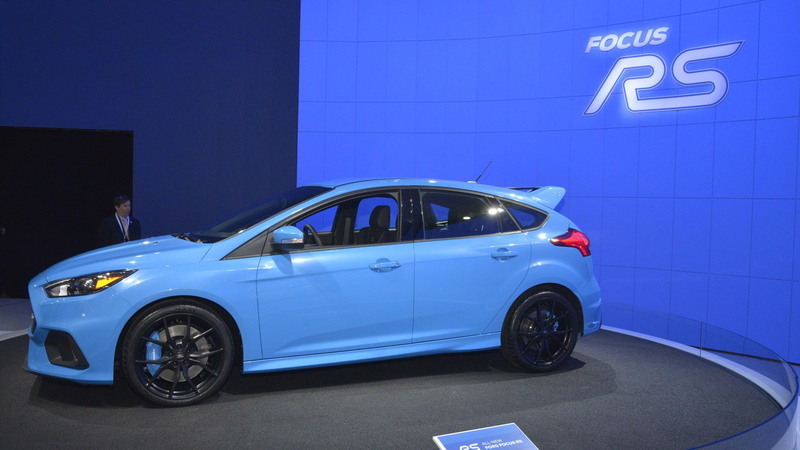 Ford has previously confirmed that the Focus RS will extract 345 horsepower and 324 pound-feet of torque (347 lb-ft with overboost) from its turbocharged 2.3-liter four-cylinder engine. This unit is virtually identical to the one in the Mustang EcoBoost but benefits from a larger turbocharger and higher flow intake and exhaust systems. 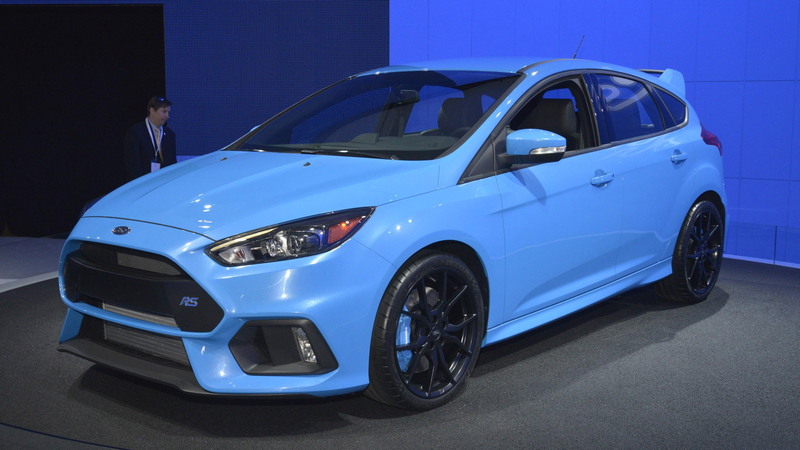 Ford still hasn’t announced Focus RS pricing for the United States, but we hear that it might have a starting price just above $35k. Unfortunately, we also hear that production will be limited. All examples will be sourced from Ford’s plant in Saarlouis, Germany. 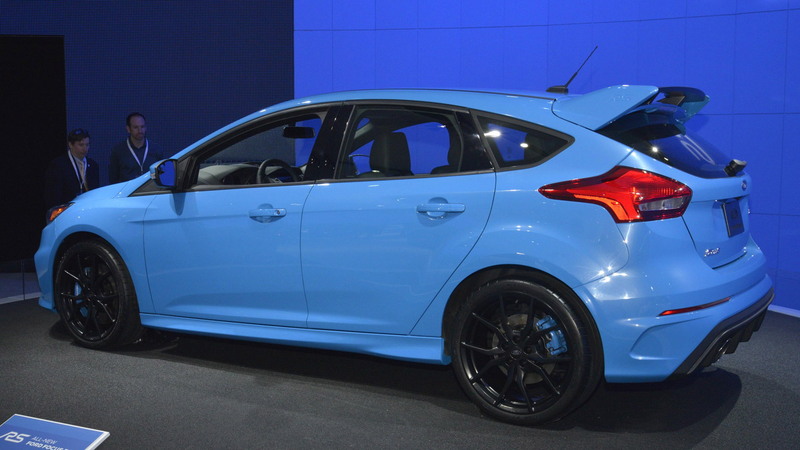 Four exterior colors have been selected for U.S. buyers: Nitrous Blue, Stealth Gray, Shadow Black and Frozen White.